Motopark is all decked out and looking forward to hosting the final two rounds of this years New Era Motopark Cup June 30/July 1 weekend. We’ve been working extra hard on our track prep this year and know you are going to be happy with the changes the team have been working on for this years event. This is the last week of our spring hours and starting Monday July 2, the track is open from 10 a.m. to 6 p.m. 7 days a week. Practice hours prior to the race are Thursday 10 a.m. to 6 p.m. and Friday June 29 10 a.m. to 4 p.m.
ONLINE REGISTRATION—You can register on line for the race at http://secure.tracksideonlineresults.com/motopark/. Online registration closes at noon on Friday June 29. Registration at the track takes place Friday June 29 from 7 to 9 p.m. Registration is also open from 7 a.m. to 9 a.m. both Saturday and Sunday. 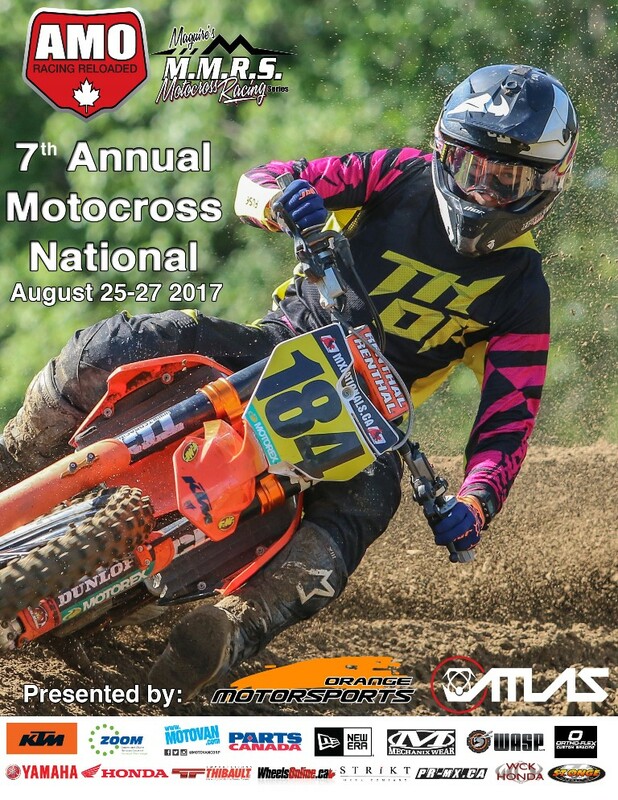 RIDER AND CAMPING INFORMATION— print off the information on classes and rates at https://www.motoparkracing.com/mpcup/. Our Hotel rooms and serviced sites are booked for the weekend but there is lots of primitive camping, no reservation required. The Gate is staffed 24 hours a day from Thursday. Campers arriving after 11 p.m. will not be allowed in the camping area so as not to disturb those already here. Generators must be turned off after 11 p.m. Primitive sites are $20 per vehicle for the first night and $10 each additional. WATER-Motopark offers customers an area to fill their water barrels with non potable water at no charge. Absolutely no fill ups are allowed at the taps at our serviced campsites, these are paid outlets for vehicles on these sites only. There are no fill ups allowed from the washrooms or snack bar building. There is a tank beside the mini track that you can use to fill your barrels. FIREWORKS & CAMPFIRES—Motopark is providing a professional fireworks display Saturday at dusk. No other fireworks are allowed over the course of the weekend, they will be confiscated. Save your fireworks money for when you are at home. Fire’s are allowed (providing we are not under a fire ban due to the weather). Firewood is available from the main gate, $10 a grain bag full which will do you for the evening. Please insure your campfire is out prior to turning in for the night. THE OFF ROAD CAFE— will be open throughout the weekend serving up some great Moto food for riders and their guests. Our annual Steak or Chicken barbecue takes place Saturday night at 6 p.m. Pick up your ticket during the day Saturday to insure you get your meal. FUN AND GAMES—The Savage Switchback Pitbike race takes place Saturday night at 7 p.m. Commander Jeff will be heading up a Paintball game at 7 p.m. Paintball is $25 and includes a hopper of balls and a gun and face shield. The Pitbike race is free. You can sign up for both at the registration desk in the Off Road Cafe anytime Saturday afternoon. Our Fireworks show takes place at dusk. PRIZES AND AWARDS AND GIVEAWAYS—A New Era MP Hat given to the first 300 riders entered including pre-entries. Daily plaques and special prizes, Top 3 series overall awards and prizes Sunday. Holeshot cash for all classes Saturday 1st moto, OTSFF Award to the most dominant rider at the MP Cup Series. The Fox Supermini Helmet award, Yamaha award for the most dominate Yamaha rider in the series. 200% Pro payback. PARK ETIQUETTE—Golf Carts may be driven by licensed adults only. They may only carry as many passengers as their are seats for and everyone must be seated. Pit Bikes are not allowed. RACERS—Do not ride your racing motorcycle up to the Snack Bar, Washrooms or to check on results. No riding of any pit vehicle or Golf Cart in the spectator area in front of the Snack Bar. No Motorcycles are to be started after 7 p.m. at night or prior to 9 a.m. each morning. You may ride your Race Bike to the start line providing your going slowly. Anyone seen racing or gearing up as they ride thru the pit/parking are will be disqualified. MOUNTAIN BIKE AND BMX ADVENTURE PARK— We are holding an Open House at our new MTB/BMX area on Friday from 12 noon to 9 p.m. There’s no charge and we have some special guests to demonstrate in both our Mountain Bike and BMX Skills area from 4 p.m.. So bring your bikes and take part in our Free Open House. Register at the registration desk in the Off Road Cafe and get your free wristband. The park is also open Saturday thru Monday, regular rates apply. Park rates and hours available at registration.